Look through the calendar to see what is going on in and around the Blaenavon area. 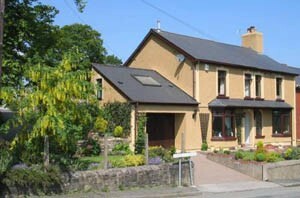 The events listed are no more than 1 hours drive from the World Heritage Site so why not use Oakfield B&B as your base? Hopefully there is something for everyone! 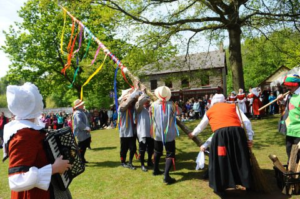 Celebrate May day At St Fagans! May Day has heralded the start of summer for many hundreds of years in Wales. It’s time for the Green Man to wake up from his winter sleep as the buds burst and life returns to the woods and fields. The day is marked with merriment, music and what must surely be the most famous of all the folk dances, the raising of the maypole. See some May madness inspired by the traditions and legends that surround this special time of year. The sixth Tudor weekend led by the Beaufort Companye and their esteemed friends from the Wars of the Roses Federation. 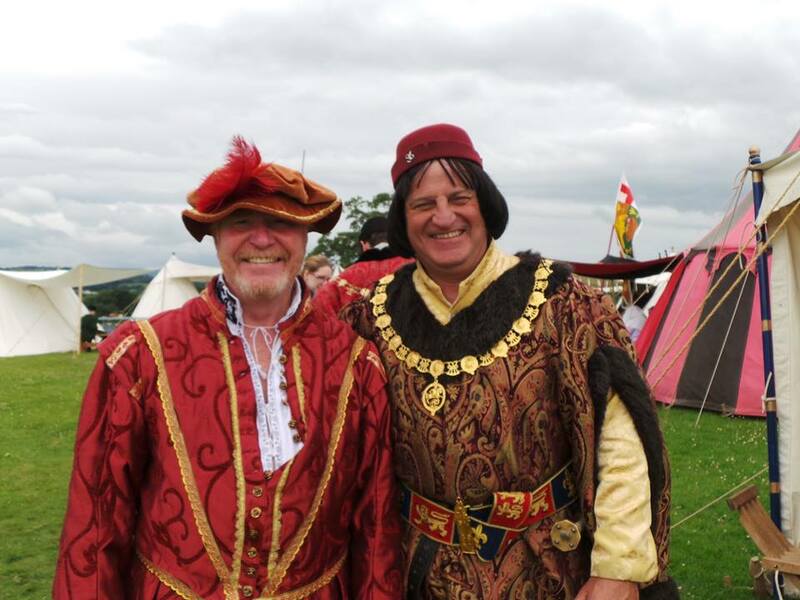 Living history displays, battle re-enactments and join in with a Tudor sing song! Plenty of Tudor themed fun make up this ever popular festival. Castle opens at 9.30am but main activities take place between 11 am and 3 pm. Steampunk returns to the Ironworks! After the success of previous years Steampunk is back again! Today’s technology and Victoriana tells the story of industry through fun and games, music and fashion, art, comedy and good Victorian manners. Enjoy tea duelling and the Steampunk Olympics, as well as talks, rapping, demonstrations and craft stalls. There will be lots of colourful characters and stalls. Entertainment shows too. This annual event is always popular with steam enthusiasts, individuals and families alike. A wonderful sight to see as several steam trains run back and forth the track all day. Don’t forget the nostalgic sound of the whistles and steam. 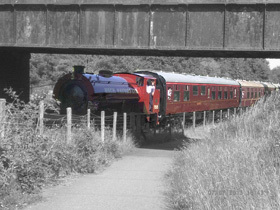 Guest trains will be on hand to add further excitement to the day so, young or old, why not pop along and take in the sights and sounds of a great day out. Have a snack in the Tea Rooms and visit Eric’s Emporium. Presentation of a current membership card allows members of the Pontypool & Blaenavon Railway to have 10% discount when staying with us.